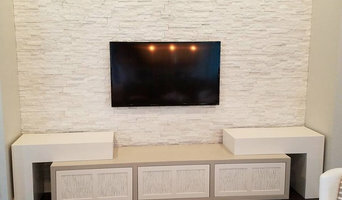 Modern Custom Closets & Cabinets is our new sister company in the Modern Building Concepts family, specializing in manufacturing, installing and building high end custom closets & cabinetry. 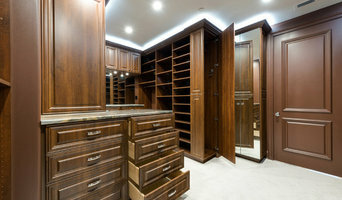 Owners Karl Meter and Barb Roessner each have over 20 years combined experience in closet and cabinet design, building and installation with some of the top companies in the industry. Closet Innovations, LLC is a locally owned and operated business specializing in meeting your organizational needs. We work with you from your vision or wish, through the design and installation. We offer a variety of colors and styles, to create stunning closets that coordinate with the decor of the home, while maximizing space and efficiency. Custom Closets & More, the leader in complete home organization, has been servicing the Lee and Collier Counties of Southwest Florida since 2004. If your home is in disarray or you need to get clutter under control, it may be time to seek help from a Naples Park, FL professional. Professional organizers in Naples Park can help you get almost any space back in shape, whether it’s your office, a master closet, the kids’ playroom or the entire house. Before hiring a professional organizer, consider exactly what you need. Have you just moved into a Naples Park, FL home and have no idea where to put everything? You may want to consider an organizer who specializes in room-by-room space planning or estate organization. Perhaps you’re faced with a tiny closet and an overflowing wardrobe. In that case find a professional who focuses on closets to help you get back on track. Also consider the types of objects that need organization. Are they items like books, family photos, files or collections? You’ll want a professional organizer who has experience designing custom systems with Naples Park, FL companies that will best fit your needs. Find a professional closet and home organizer on Houzz. 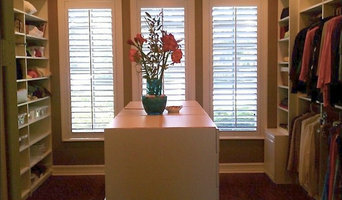 Narrow your search in the Professionals section on Houzz to Naples Park, FL closets and home organization.